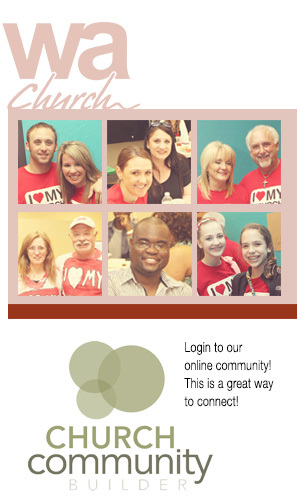 Church Community Builder is an online community designed to help partners of Word Alive Church communicate with each other and connect into the life of our church. We believe that belonging to a local church and sharing life with others in that setting is the best way to develop a meaningful relationship with Jesus Christ. CCB is an online tool designed to help you connect with others in the life of WAC. CCB not only provides you information about the people, the groups, and the volunteer opportunities at WAC, but also allows you to view your giving records and update your contact information to make sure you receive important communication from the church. Anyone can request to receive a login to CCB. If your email address is in our church database, you will automatically receive an email with a link to activate your account and set your password (You may want to visit the guide to CCB to learn how to ensure that the activation email shows up in your inbox rather than your junk folder). The basic level of access to CCB will allow you to update your contact information and view your giving history. Most users who are actively involved in church life will also have access to the online church directory. Church Community Builder works hard at making sure that all of your data is secure (CCB statements on security). CCB also lets you control what information you make available to other users of the online community. While it is encouraged to make more of your information available to other partners of WAC for building community, you are able to opt out of the online directory completely or determine what information in your profile is visible to specific sets of people (See guide to CCB for information on how to control your privacy settings). Furthermore, the church staff is limited to only have access to the information necessary to do their job.